Father Ronald R. Saucci died on September 1, 2016 at Mission St. Teresa’s, Maryknoll, New York. He was 81 years old and a Maryknoll priest for 51 years. Ronald Ralph Saucci was born on February 24, 1935 in Brooklyn, New York, son of Marino G. and Frances Coppola Saucci. He had three brothers and one sister. He attended Public School 215 and graduated from Lafayette High School, Brooklyn, New York in January 1952. He completed one year at St. John’s University College of Pharmacy, Brooklyn, New York before being called into the U.S. Army. He served in Germany for two years and was honorably discharged as a Corporal in August 1956. He entered Maryknoll Junior Seminary (Venard) at Clarks Summit, Pennsylvania on September 6, 1956. He received his Bachelor of Arts degree in Philosophy in 1960 at Maryknoll College, Glen Ellyn, Illinois, and his Bachelor of Divinity degree at Maryknoll Seminary, New York in 1965. He was ordained a priest on June 12, 1965. After ordination, Father Saucci was assigned to Maryknoll’s Mission Region in Hong Kong. After language study at the Chinese University of Hong Kong, he served as assistant pastor in Star of the Sea Parish, Chai Wan. His parish was made up almost entirely of refugees who had fled from Guangdong. During this time, he also held Mass on U.S. Navy ships that came into Hong Kong and acted as chaplain and guide for sailors on shore leave. In July 1969, Father Saucci was recalled to the United States to serve in the New York City Development House. An NBC television executive asked him if he would like to appear on a weekly television talk show from New York. That show, Maryknoll World, subsequently aired every Sunday for over twelve years. In 1970, he became a member of the Board of The Christophers, and served on the Board until 1999. On March 10, 1972, Father Saucci was named Director of the new experimental Development House in Nutley, New Jersey. On July 31, 1974, he became the Assistant Director of Maryknoll’s Social Communications Department where he served for six years. As Assistant Director, Father Saucci produced a number of films on mission, prominent among these being “The Faces of My Brother”, winner of a New York Film Critics Award. 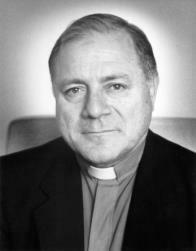 In 1978, Father Saucci became Acting Director of the Social Communications Department, as well as Acting Director of The Christophers. Also in 1978 as a Non-Governmental Organizations’ (NGO) representative to the United Nations, he was elected to a two-year term of office on the NGO governing board. On July 31, 1980, while remaining a member of the U.S. Region, Father Saucci was assigned to Hong Kong to engage in work for the Social Communications Department as the Asian Correspondent for Maryknoll Magazine. He served part-time as Assistant Executive Director for the Union of Catholic Asian News (UCAN) and became its Director and Executive Editor in 1983. On March 15, 1985, he was assigned to the Hong Kong Region and remained with UCAN. On June 1, 1987, Father Saucci was again assigned to the U.S. Region to serve as Director of the Social Communications Department at Maryknoll, New York. In this position, he was publisher of Maryknoll Magazine, Revista Maryknoll and Orbis Books. As Director, he also produced several documentaries on mission for network broadcast television. The documentary “Hong Kong: On Borrowed Time” was broadcast nationally in both 1994 and 1995. On July 1, 1993, he was reassigned to Hong Kong, where he worked serving as Deputy Executive Director of UCAN and Executive Director of the Servicemen’s Guides Association (SGA), which provides hospitality and guidance to visiting sailors. In addition, he worked at St. Joseph’s Church serving the Filipino community in Hong Kong. In regard to this work, Father Saucci said, “The most enjoyable part of my week is preaching homilies at St. Joseph’s Church. The vitality of the Filipino community as they pray together and sing at the top of their lungs has encouraged me to work harder on the homilies I give.” In January 2015, Father Saucci returned to Maryknoll, New York. He was assigned to the Senior Missioner Community in February 2015 and ultimately resided at Mission St. Teresa’s. A Rosary and wake service was held at 4:00 p.m. on September 6, 2016 at Mission St. Teresa’s. The body was received at the Maryknoll Society Center at 9:30 a.m. on September 7, 2016. Father Saucci’s family received condolences and prayers until 10:45 a.m. in the Lady Chapel. The biography was read by Father Timothy Kilkelly. Mass of Christian Burial followed at 11:00 a.m. and was concelebrated in Queen of Apostles Chapel. Father Edward Szendrey and Father John McAuley were the Principal Celebrants. Father John McAuley was the homilist. As per Father Saucci’s request, he was cremated after his funeral.